Ancient Egypt for Kids The story of ancient Egypt has survived for thousands of years. Egypt was one of the greatest civilizations of the past. The monuments and tombs of their Pharaohs continue to stand intact today, some 4,000 years later! A good portion of the Old testament takes place in or around Egypt. 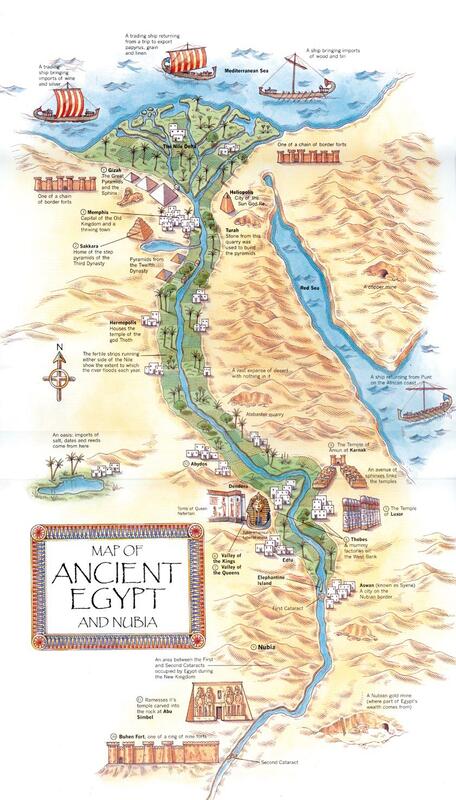 Egypt also plays a major role in the life of many Bible people from Moses and Joseph to Jesus. Great Sphinx of Giza The Great Sphinx of Giza, 2008 It is the largest monolith statue in the world, standing 73.5 metres (241 ft) long, 19.3 metres (63 ft) wide, and 20.22 m (66.34 ft) high. It is the oldest known monumental sculpture, and is commonly believed to have been built by ancient Egyptians of the Old Kingdom during the reign of the Pharaoh Khafra (c. 2558–2532 BC). Origin and identity The Great Sphinx partly under the sand, ca. 1870's. The Great Sphinx is one of the world's largest and oldest statues but basic facts about it, such as when it was built, and by whom, are still debated. Rome Reborn Mission Rome Reborn is an international initiative whose goal is the creation of 3D digital models illustrating the urban development of ancient Rome from the first settlement in the late Bronze Age (ca. 1000 B.C.) to the depopulation of the city in the early Middle Ages (ca. A.D. 550). With the advice of an international Scientific Advisory Committee, the leaders of the project decided that A.D. 320 was the best moment in time to begin the work of modeling. 10 Wonders of the World You Don’t Know Our World While most of these wonders will be known to a few people, they are, on the whole, not as well known as the famous “seven wonders”. Despite that, each has a reason for being considered wonderful and deserves its spot on this list. Caricature Map of Europe 1914 The Clanker Powers: Germany is a massive military machine with weapons aimed outwards to all surrounding countries. It points threateningly at Britain, not so much as a sign of direct aggression, but more as an indicator that it was now Germany’s turn to start a grand global Empire to challenge the world’s current one. Austria Hungary is an aggressive armoured giant, teetering on shoddy foundations. It is also the primary aggressor in a land grab against Serbia, with two bayonets piercing the border. The Ottoman empire is a teetering automaton, collapsing under the weight of a paranoid and ungainly spying network that gazes at Europe through many lenses and spy glasses. Kids History: Ancient Egypt for Kids Back to History Ancient Egypt was one of the greatest and most powerful civilizations in the history of the world. It lasted for over 3000 years from 3150 BC to 30 BC. Egyptian pyramids A view of the pyramids at Giza from the plateau to the south of the complex. From left to right, the three largest are: the Pyramid of Menkaure, the Pyramid of Khafre and the Great Pyramid of Khufu. The three smaller pyramids in the foreground are subsidiary structures associated with Menkaure's pyramid. There are 138 pyramids discovered in Egypt as of 2008. Most were built as tombs for the country's Pharaohs and their consorts during the Old and Middle Kingdom periods. Food in Ancient Greece The Greek diet consisted of foods that were easily raised in the rocky terrain of Greece’s landscape. Breakfast was eaten just after sunrise and consisted of bread dipped in wine. Lunch was again bread dipped in wine along with some olives, figs, cheese or dried fish. Supper was the main meal of each day. It was eaten near sunset. It consisted of vegetables, fruit, fish, and possibly honey cakes.